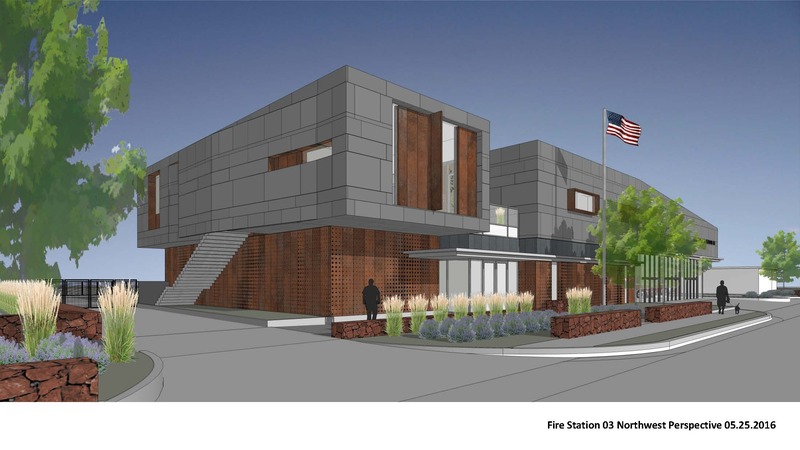 The city will be at the June 1st meeting to give a final view of the updated fire station design. They will present the modifications and are looking for constructive comments on the aesthetics of the design. This is an important addition to our community so come and learn more. The city has indicated they are going to take a moment to step back and look at the design again to see how it fits in with our community and historic Forest Dale golf course. You can still submit a comment using the form below. The SHCC has received a notice of conditional use for the new fire station to be placed on the SW corner of the Forest Dale Clubhouse parking lot. This will be heard at the March 21, 2016 Land Use & Zoning Committee meeting at Sprague Library, meeting starts at 6:00 p.m. (other items are on that agenda). Please review the design and make your comments heard. This new fire station will be part of our community for many decades to come. 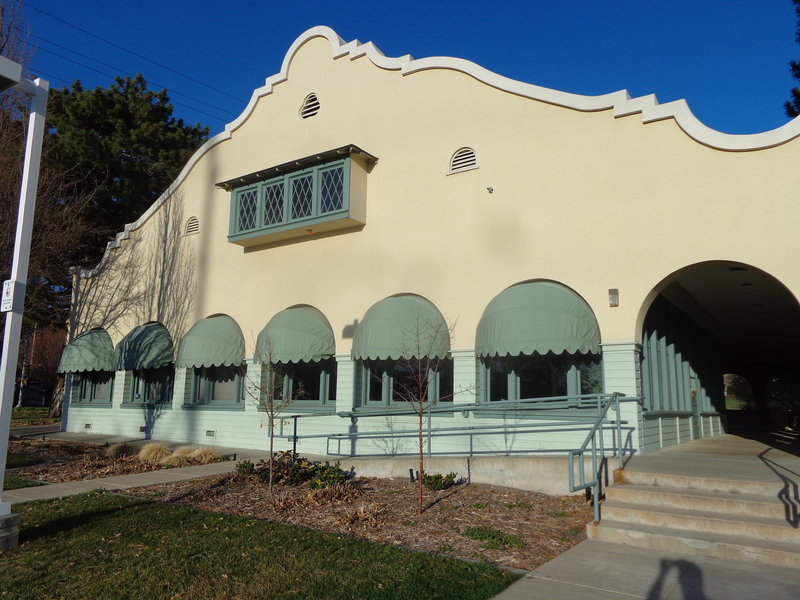 Additionally, it is important to note that the Forest Dale golf course and clubhouse have been listed on the National Historic Register and we had asked them to draw upon this historic building to provide some continuity and honor our history. The city council has closed the public hearing (October 20, 2015) and deferred action until a later date. The public hearing for this issue has been set for October 20, 2015 at the City Council meeting. To review the report that was submitted to the planning commission and the city council go here. If you wish to make comments you can submit them to council.comments@slcgov.com at any time prior to the October 20th meeting. The proposal to rezone map/amendment for the parcel at Forest Dale golf course has been transmitted to the City Council and is scheduled for an initial briefing September 1, 2015. A public hearing is tentatively scheduled for October 20, 2015. The Salt Lake City planning commission voted to send a recommendation for approval to the Salt Lake City Council on the proposed rezone of this particular parcel from open space to public lands. There is no date yet for the vote with the City Council. What does this mean? The city council has the final vote on all rezoning. The public has the opportunity to still weigh in on this issue. You can send comments directly to councilcomments@slcgov.com and get directly to all members of the city council. It also means that if this parcel is rezoned to public lands that the city then has to apply for a conditional use permit to put a fire station at this location. That is a separate process and there is a public process for that as well. The Salt Lake City Mayor’s office and Salt Lake City Fire Department are recommending a new fire station be built in the southern parking lot area of Forest Dale golf course. Currently the section used to store salt for the winter. The SHCC wants to make sure you know where to get accurate information on this proposal and learn how you can participate in the process. This proposal is at the very beginning of the public engagement process. City representatives will be at the January 7, 2015 SHCC meeting at Sprague Library 7-9 pm. The city council is considering a budget amendment most likely in December 2014 designed to transfer identified parcels of land currently owned by the golf enterprise fund to the city’s open space inventory. These parcels will be purchased by the general fund and give the golf fund some needed revenue. None of the parcels identified are part of any working golf course. A separate issue is the recommendation by the Mayor’s administration and Fire Chief that this location be the site for a new fire station #3. This is a different process that will have ample opportunity for public input. Currently the west side of Sugar House is served by fire station #3 located at Sugarmont Dr. The east side of Sugar House is served by fire station #13 located on Parley’s Way directly adjacent to residential homes. Station #3 serves the area of Sugar House from 500 E – 1700 E and 1700 S to the city limits. The city looked at as many as 10 locations for a new station (including the current site). The Forest Dale site was chosen for several reasons. 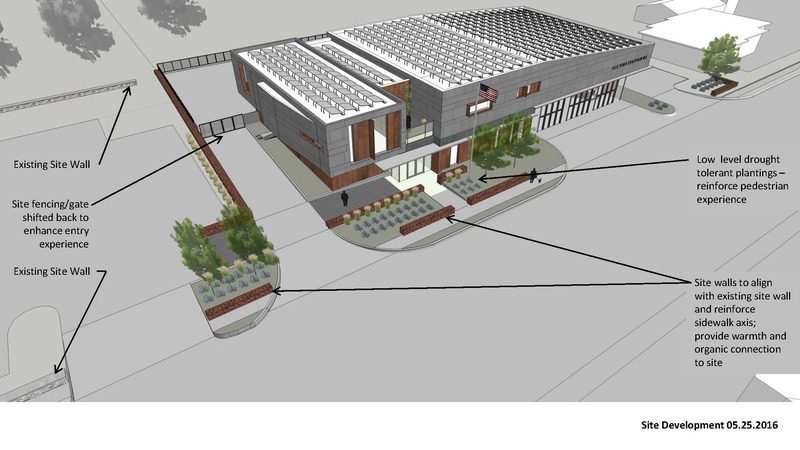 A bigger Fire Station is needed to accommodate the rapid growth in Sugar House. Current station houses 1 truck and 4 fire fighters. This station cannot house a ladder truck. Lights and sirens are utilized on fire dispatch and advanced life support dispatch only. Salt Lake City Fire Department has requested research to implement a traffic control signal such as the one used on Parley’s Way to minimize use of sirens and enhance traffic safety. Currently fire station’s 2, 4, 5, 6, 7 and 13 are located within residential neighborhoods. Protocols for noise advise caution for audible devices for after hours response. The proposed Forest Dale site is currently a parking lot and road salt storage site; although zoned open space, it is not actual green space nor is it space that would impact the layout or function of Forest Dale Golf Course. The City Council recently funded a building design that could be built on the Forest Dale site or at alternate locations which may potentially be selected. Open Space disposition process outlined in City ordinance (calls for public notice and mandatory six month waiting period after petition from Mayor and public hearing).Rezoning process and Master Plan Amendment (it would need to be rezoned from Open Space to Public Lands) outlined in City ordinance (calls for public notice, notice to surrounding property owners, Community Council recommendation, Planning Commission public hearing and recommendation, City Council public hearing and vote). Financing process – the City Council would have to vote to either approve budget funds or bond funds to finance construction of the facility. This process also requires a public hearing. *The above information was provided by Salt Lake City, SLC Fire Department and Councilwoman Lisa Adams. Please consider signing up for our monthly email newsletter and alerts to stay informed. You can do this by clicking on the “join” button located at the top right of the page.